Professional development is the means for improving one’s professional knowledge-base, skill-set, and/or practice. It is an ongoing process. That said, just like Video killed the radio star, a reference to an eighties pop song from the The Buggles, school districts have killed professional development with mandates and a one-size fits all approach to meeting the instructional needs of teachers. 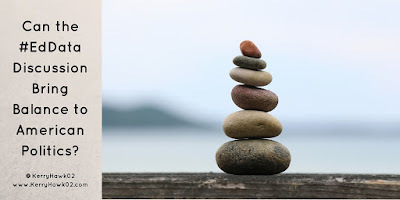 As someone whose job it is to help teachers utilize technology and reimagine the learning experiences of their students, I have to balance the wishes of the district with the personal learning goals of teachers. Throw in the time crunch of having to deliver professional development during a 45 minute time frame (teachers’ planning periods) and sessions become driven by an agenda, not designed by the teachers. That’s where blending online modules into professional development comes into play. Before, I would email teachers a cheat sheet after each session. The sheet would be a short “click here, click there” one pager with picture directions similar to those included for assembling a piece of furniture or installing a piece of software. I have since moved beyond the cheat sheet and have moved towards designing self-directed online learning modules. These modules provide teachers access to a step by step breakdown of how a tool works, but do so in a more purposeful and interactive way. The modules include discussions and opportunities for teachers to obtain the counsel and guidance of their colleagues. Transforming the old cheat sheet into an online module gives teachers the freedom to take on the units they want when they want them, and they can review the material as many times as they need. This frees me from having to cover how a tool works and to focus our face-to-face time on classroom implementation. I have more time to answer teachers’ questions. I’ve begun to shift how I work with teachers. Courses can be designed, delivered, and targeted to specific teachers. The platform allows for both communication and collaboration between teachers and administrators, regardless of school site or grade-level. Teachers can seek out professional learning within the PLC’s that already exist on the platform. Schoology has both an Android and iOS applications, which means the professional development we provide is mobile. 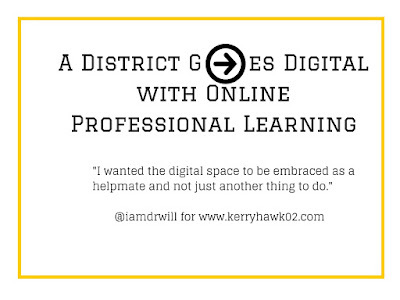 Since we were introducing something different to the district, I didn’t want to overwhelm teachers. 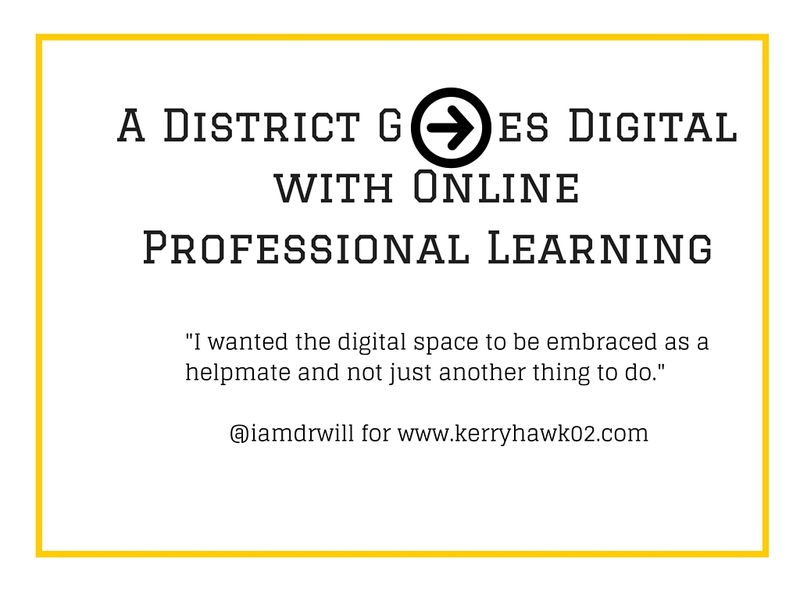 I wanted the digital space to be embraced as a helpmate and not just another thing to do. In the course I designed for the 9th grade, I uploaded a few modules. I knew they needed to know how the tools worked, but didn’t want teachers to get lost in the content or become confused with the purpose of blending professional development. The focus of this experiment was not to inundate teachers with tools but to give more meaning to our face-to-face time. To create teacher buy-in, I have started to make the course their first stop before they can ask me a “button pushing question.” So if a teacher asks me how to do add a rubric to a short essay question, my response is “Did you go through the unit in the Schoology course?” Granted, not every teacher has responded well to the move. I continue to spend some time with one teacher, in particular, who prefers that I walk him through how a tool works. However, more teachers see the course as a resource and our time together as an opportunity to dive deeper into the classroom implications for implementing the tool. Instead of being referred to as “the technology guy,” I have become a coach and sounding board for new ideas. Our sessions are now filled with discussion and serve as the launching point for in-depth conversations about student outcomes and professional goals using technology in the classroom. 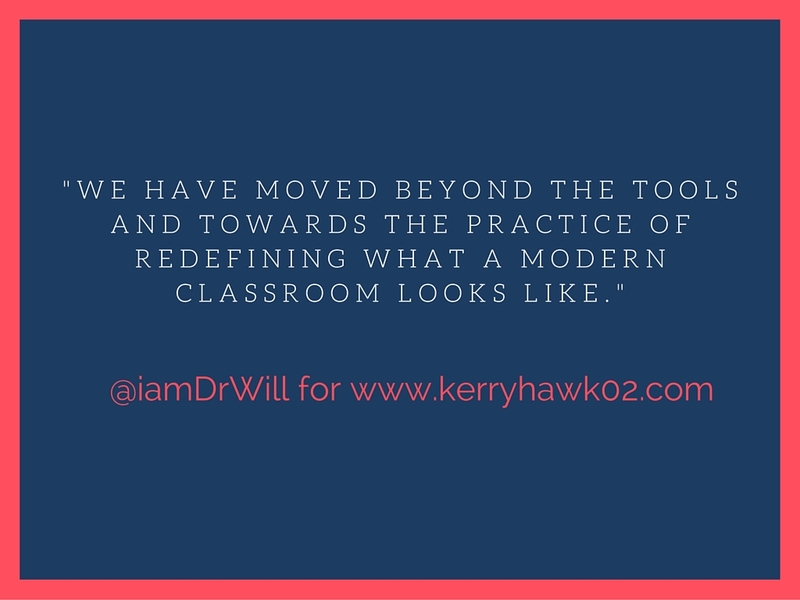 With my cohort of teachers, we have moved beyond the tools and towards the practice of redefining what a modern classroom looks like. Blending professional development is another step in our district goal to go digital. We have been a GAFE district for several years, our 1:1 Chromebook locations are expanding, and our current group of 1:1 teachers have already been engaged in blended professional development. Further, we have seen success when district-level leadership working with teachers in Schoology. For example, Dr. Stokes has a group in Schoology in which she works with new teachers. In her group, she offers tips, provides resources and teacher feedback, and collects artifacts such as lesson plans. The district professional development coordinator is already in the midst of developing an online vocabulary course for teachers district-wide. The course will cover vocabulary that students should know by the end of next school year and is a part of the district’s plan in improving the literacy skills of students. Additionally, the instructional technologists will be providing two online modules during our summer program for teachers in our 1:1 locations, with plans of rolling out several modules throughout the year. Blending online and face-to-face professional development offers teachers the opportunity and space to learn and grow with their colleagues on their own time at their own pace. It also provides the means by which to offer differentiated professional learning experiences for teachers. As more devices arrive and as the varying needs of our teachers increase, blending professional development will be more of a necessity than a luxury. 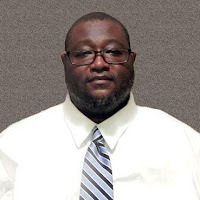 Dr. Will Deyamport, III is a District Instructional Technologist for Hattiesburg Public School District, consultant, and host of The Dr. Will Show. 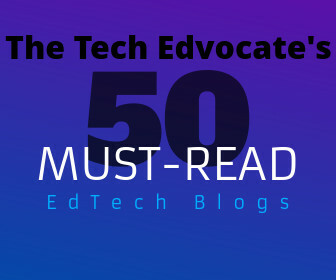 Motivated by his passions for education and digital media, he has been able to leverage the use of social technologies in the classroom to connect learners with worldwide. 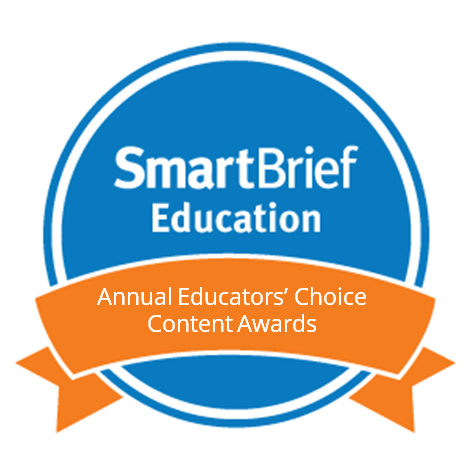 While his efforts are primarily targeted towards teachers, it is his research in this specific field that has helped him to create an innovative, interactive and integrated classroom experience for students and teachers alike. 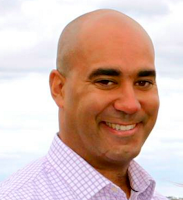 Dr. Will is an alumnus of Capella University, where he earned his Doctor of Education (Ed.D.) in Educational Leadership and Management. It is the cry of teachers everywhere: Pedagogy first, technology second! While there is a strong truth in that education mantra, there is a missing element: Privacy. A month ago I co-authored a piece for EdSurge with Ross Cooper titled Should I Download That App? 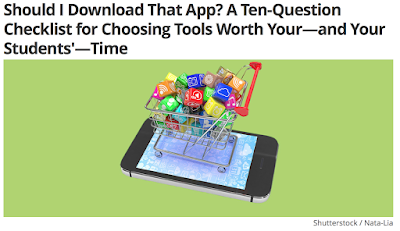 A Ten-Question Checklist for Choosing Tools Worth Your—and Your Students'—Time. 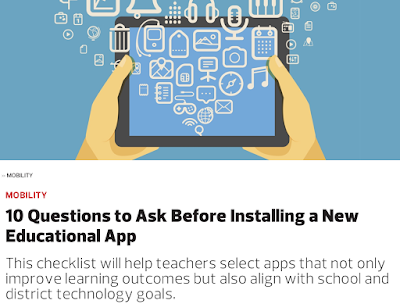 The ten questions in the article are meant to help classroom teachers and school and district leaders stay focused on pedagogy and district goals ahead of flashy apps and tools. We didn't leave privacy out. Although privacy was not mentioned in the ten questions – since the article's focus was pedagogy – it was most definitely covered. To leave out privacy is unthinkable. Lucky for us, EdTech K-12 picked up our post today and shared out the ten questions to help preview the release of a tool still in development at the U.S. Department of Education to help teachers tackle the same ever-present challenge: to download or not to download? 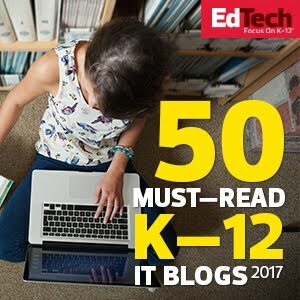 While this article helps emphasize the importance of pedagogy over technology, it doesn't reference our mention of privacy either. I hope the U.S. DOE's tool includes privacy. I'm sure it will. 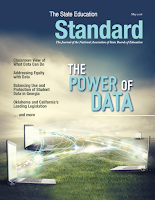 The good news is that classroom educators who are looking for guidance on how the student data privacy laws apply to their classroom practice have a resource on the way. Stay tuned. As part of my work with ConnectSafely and in partnership with the experts at the Future of Privacy Forum a ten question guide to student data privacy is coming on May 23. 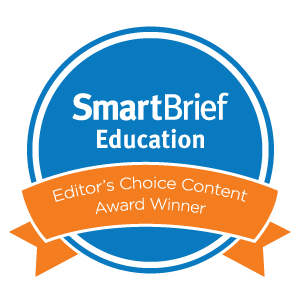 It is designed especially for classroom educators who love their students, love what technology helps their students do, and want to keep both pedagogy and privacy top of mind. Keep an eye on the ConnectSafely and FERPA|SHERPA on May 23. With both pedagogy and privacy in mind, it is still possible and important to use powerful technology tools available to prepare our students to the multi-faceted careers that await them. When using tech with students, let's put both pedagogy and privacy first. When Mark Zuckerberg started his book club in 2015 he kicked the year off with Moises Naim's The End of Power: from boardrooms to battlefields and churches and states, why being in charge isn't what it used to be. Naim's general argument is that traditional power systems--such as political, structural, corporate, cultural and even academic--are being challenged by the distribution of power towards smaller and more agile players. Where Clayton Christensen talks about disruption of society, Naim discusses the flattening of power. One area in Naim's argument that is relevant for us in education is the increase in human connection in our modern world. Naim argues that people are connecting more face to face than ever before and therefore more of them are empowered. An excellent example of the increase connection of teachers is through the development of teacher Professional Learning Networks (PLNs), where educators share and learn with each other to help improve their practice. PLNs can broaden the reach of teacher learning like never before. We should be able to develop the same connections for students as well. Naim states that, "the more contact we have with one another, the greater the extent to which contact breeds aspiration." If this is true, then broadening our students' networks can have a profound impact on helping them learn the pathways of their aspirations. I have never met a student who aspires to have a miserable and unproductive life. But for many of our most disconnected students their aspirations for a better life feel impossible to reach. Regularly I hear students who skip and fail classes explain that their goal is to go to college. While I'm supportive of our students developing these goals, it also seems that many struggle to grasp the realities – such as attending and passing classes – that are necessary in order to follow the path to reach that goal. Due to this challenge, many of our disconnected students fail to reach their aspirations because the goals seem overwhelming and impossible. 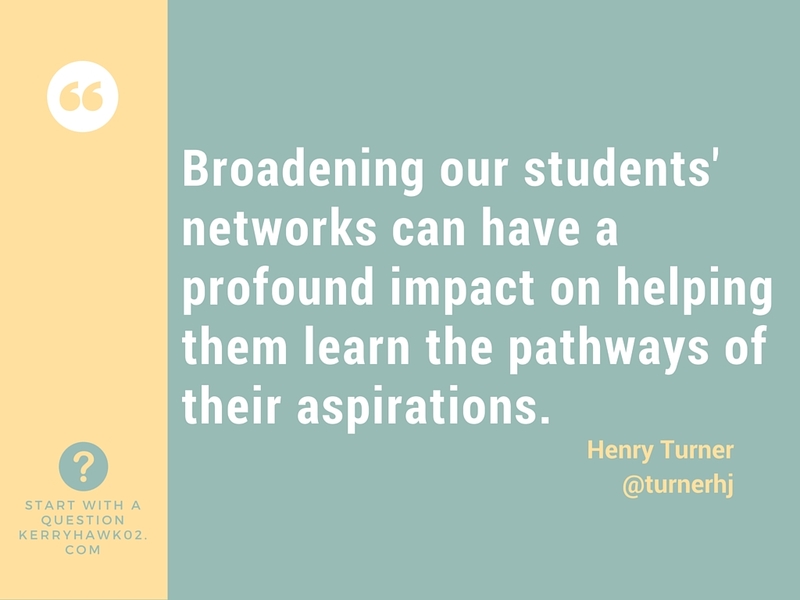 Connecting disconnected students with role models who have achieved their aspirations – such as a college graduate, a doctor, or a teacher – can help them see the path. Here are a few ways that connecting students with each other or with role models can help them find the path to achieve their aspirations. Five years ago teachers at Bedford High School, in Bedford, Massachusetts, initiated the Tenacity Challenge as a way to empower African American and Latino students. Geared towards increasing the number of underrepresented groups in Bedford's upper level classes, Tenacity exposes students to rigorous, problem based challenges in a competitive and collaborative environment. 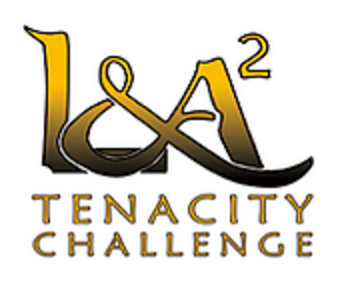 Over the past five years Tenacity has grown to include well over 150 students from over 20 Massachusetts high schools. It is truly a powerful experience to watch these students compete and challenge themselves throughout the day. A few years ago the students began asking the organizers to set aside space and time to allow them to connect with each other. So now this event not only challenges them to grow academically but also helps them to establish an affinity group with students throughout Massachusetts. Through the Tenacity Challenge students have made connections with role models as well. For the competition students are required to interview at least one expert to help them answer the history question. A few years ago a group of students went so far as to interview Lani Guinier, Elizabeth Warren and two state senators for a project on the Voting Rights Act. Talk about a life changing moment! 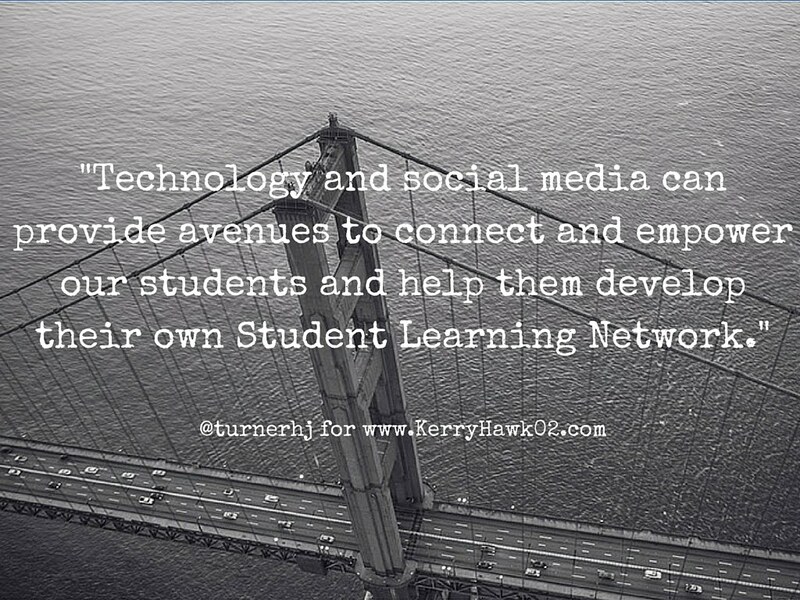 Technology and social media can provide avenues to connect and empower our students to develop their own Student Learning Network (SLN). Organizations such as Black Girls Code have an enormous social media presence to help students create an SLN. Additionally, many professional associations, such as Black Physicists and Wonder Women in Tech have presence on social media to help develop role models and mentors for students. Finally, celebrities, doctors, lawyers, and educators have personal social media accounts to connect with as well. Social media can help connect students far and wide but there are plenty of experts locally as well. By connecting with local role models, they may learn the path they must pave to reach the goal, such as the courses and internships they should complete in college. Finally, they may also find folks who could support them while they are on this path in the same manner that we rely on our Professional Learning Network. A few years back one of our struggling students met a psychologist through our African-American and Latino cohort program. Listening to the psychologist's life story, and the steps he took to enter this profession, helped this student to find his passion. In a few weeks this student will graduate, enter college and major in psychology. Develop Mentors – Whether face to face or digitally, help students connect with adults who have accomplished the goals they aspire to reach. 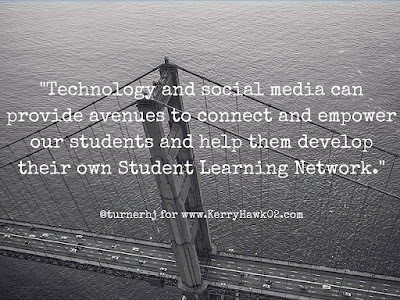 Through social media or local networks, connect students with these adults. Sometimes a 140 character tweet with a positive message is all it takes to keep a student on the right track. Connect Inside and Outside Schools Walls – Connect students who don't typically take classes together through an unleveled class or a club or student organization. Connect students with local professionals in their interested field. Consider reaching out to the Council on Aging or a local university or college. Student Learning Networks – Encourage students to build their SLN when they have a chance to engage with peers from other schools. 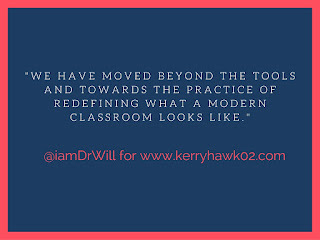 They will benefit in the same way we educators have found power in our PLN. Naim’s argument is that the shifting of power is partially attributed to the increased connections of people. While there are many ways to analyze this perspective, it is clear that if we connect our students with other people we will empower them to reach their aspirations. Henry Turner is the principal of Bedford High School in Bedford, MA. During his time as principal, BHS has implemented a 1:1 iPad program, focused on developing critical thinking in all classes, incorporating diverse perspectives and using PLCs as a forum for professional learning. Dr. Turner has a Bachelor of Arts Degree in History from the University of Massachusetts at Amherst and a Masters in Education in History from Framingham State University. Dr. Turner earned his EdD in Education Leadership from Boston College. His dissertation focused on the role of distributed leadership in gaining acceptance of large scale technology initiatives. In July he will transition to be principal of Newton North High School. You can find him on Twitter at @turnerhj or his blog principalhenryturner.blogspot.com. 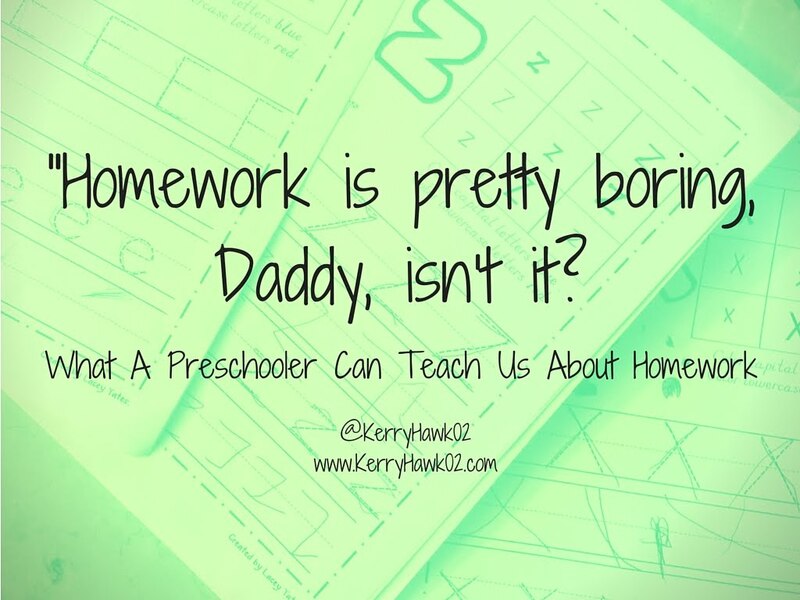 My Twitter, Instagram, and Facebook feeds are full of sweet little graphics that say "Thank You Teachers!!!" (so many exclamation points) thanks to Teacher Appreciation Week. Snapchat even has it's own filter. The outpouring of thoughtful emails, hand-written notes, and parent-hosted lunches are welcomed and energizing at this point in the school year. But teachers should remember to thank one another, too. 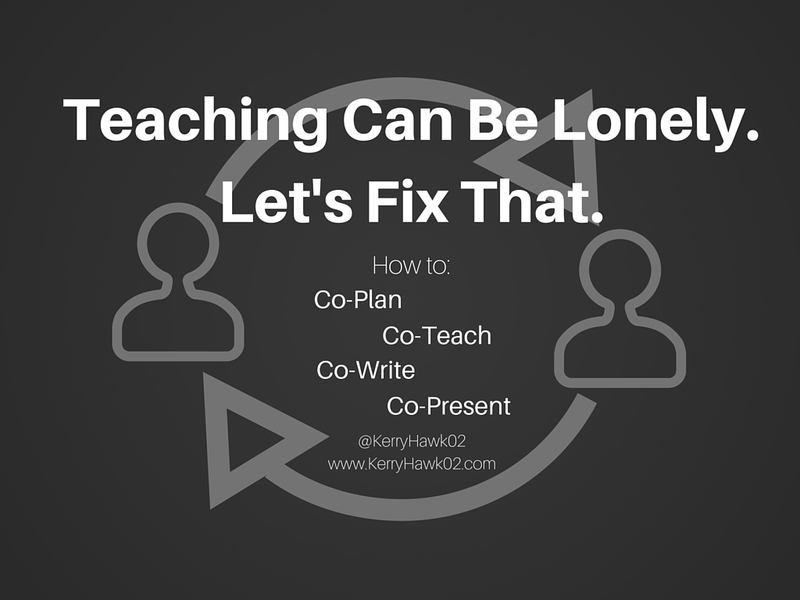 As a teacher, try co-planning, co-teaching, co-writing, or co-presenting. We all have colleagues, either from the classroom next door or from a school across the country, who have strengths or talents we have learned from. Perhaps the best way to demonstrate gratitude is to offer to collaborate. There are many ways to do this, and everyone will benefit from the effort. Even students. You and a colleague teach the same course offering, but not in the same classroom at the same time. Why not inject some new approaches and new resources into your lessons/projects by co-planning? After working through instructional design together with both middle school teammates (like Steve Olivo) and high school department colleagues, I learned that we are better together than apart. When we co-planned and then used the same project design in our respective classrooms, we were more likely to reflect during and after the process. Either via email, text messages, or over lunch we would talk about how our students reacted, engaged, and learned based on our approach. 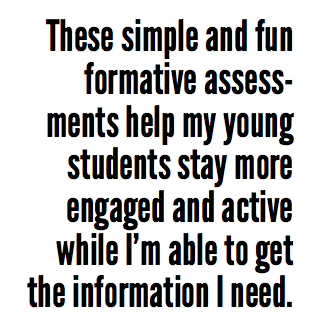 When we thought metacognitively, we were modeling for our students and improving our teaching. There have been certain colleagues (Caroline Allison, Kara Gleason, Jessica Bailey) who I have co-planned with enough to implicitly trust their approaches to teaching and learning. This means that when one of us was in a bind and the others had a lesson to offer up, we could take it and use it with our students and with very few tweaks. Developing that kind of trust builds strong schools and helps teachers maintain their sanity. When there are two teachers in the room, one can be in the front giving instruction while the other is in the back looking at student screens. One can be encouraging that quick snarky group while the other is gently nudging the quiet timid crew. One can be helping with a tech snag while the other is helping with a content misunderstanding. In short, two is better than one. Inevitably, our students pose questions or present ideas we couldn't anticipate in the throes of the lesson. 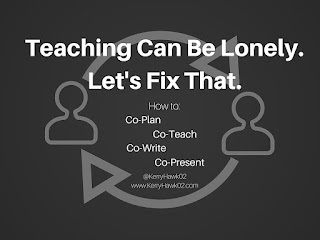 When we are flying solo in a room full of students, we either address it confidently or stumble. If we are co-teaching we can field those moments together. Talk it through right there in front of the students. Let students observe how professional and thoughtful problem-solving happens. I recently co-taught a classroom full of freshmen with Jay Pawlyk, an English teacher, on the philosophy and technical set-up of digital portfolios. We joked about how older generations sometimes comically misuse new tech tools. We both had a good laugh at jokes that were anachronistic to the 14 year old crowd. The students saw good natured collegiality and neither of us felt like the ancient in the room. It was a win. When co-authoring, both come to the table–or the Google Doc–with plenty of ideas. The challenge is to work together to narrow those ideas to a bite size length. Readers should not have to get through something that is double the length just to get double the insight. Ross Cooper and I worked hard to make this happen in our post Should I Download That App? for EdSurge. We submitted a draft to our editor that we knew was too long. The haggling over Google Hangout that followed was well worth it. We both like the article better because of how we distilled our ideas and trimmed the fat. The biggest mistake writers make when they co-author is to split up the work. In the end, the piece just reads like it is bouncing back and forth between two writers instead of reading like a cohesive strong statement. Kyle Pace and I wrote somewhat separately, but then we edited together. And we edited a lot. Now that it is all done, we feel confident that our EdSurge post Five Ways to Create More Teacher Rockstars in Your School is a solid piece. The goal of writing and publishing any piece, whether it is on your own blog or with another website or print publication, is to share ideas and spark a conversation. When a piece is co-authored the reading audience will inevitably increase and you will get to converse with and learn from even more people. A diversity of perspectives will deepen the discussion and help you refine your own ideas and vocabulary. I have co-presented at EdCamps with Tammy Neil and Andrew Marcinek and at MassCUE with Kit McGuire and the #TechTeamMA crew. (In 2 of those 4 cases we'd only ever met in person for a few minutes before presenting together.) In all cases, my thinking was stretched and I brought those thoughts back to my students, classroom, and school. 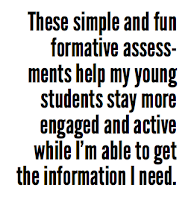 And, in all cases, the experiences helped shape the way I think about learning and teaching. Whether you get to meet your co-presenters in person ahead of the big moment or not, curating resources, outlining a strategy, and designing the presentation will work best using some digital collaborative tools. 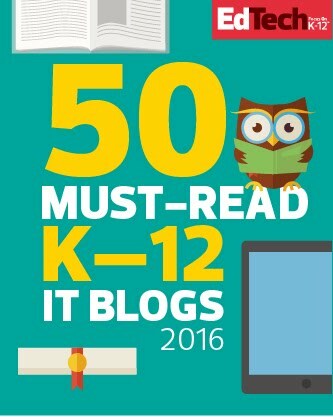 My favorites, and perhaps the most obvious, are Google Docs and Google Slides. Or get more creative with your presentation by getting out of slide decks. 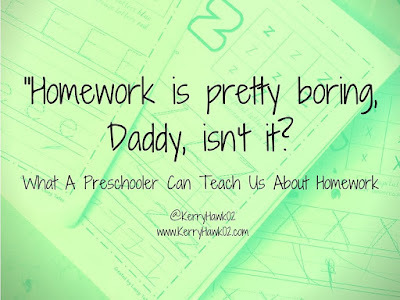 Try Prezi or Weebly. All of these platforms are collaborative and will allow you to work together while in the same room or asynchronously during a few free moments on a weekend. My colleague Julie Cremin and I had the chance to present together at the iPad Summit in Boston, Leading Future Learning, and the Blueprint Institute. In all cases, we carried out our own session (quite well, I must say) but then used the opportunity to attend as many sessions separately as possible. Since there were two of us there from the same school, there was no regret about missing offerings scheduled at the same time. If you are co-presenting, take advantage of the free/discounted admittance to the conference and spread the love. Set up time to debrief together when you get back to school. Teachers, use this week to spark gratitude among our colleagues. During this Teacher Appreciation Week, nothing inspires gratitude like truly collaborative work. Give one of these approaches a chance before the end of the school year or during your summer preparations. It will be worthwhile for your own professional learning and you'll see an impact on your students' experiences too.